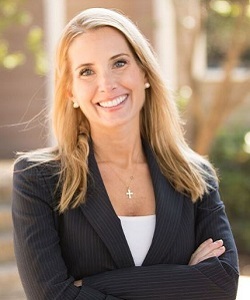 Catherine practices both civil and criminal law in Houston and surrounding areas. She is a graduate of Lamar High School and attended Texas Tech University. She received a Bachelor’s Degree in Public Relations from the University of Houston and she received her J.D. at South Texas College of Law. As a law student, Catherine participated in pro bono work gaining valuable experience assisting fellow Houstonians obtain expunctions and orders of non-disclosure. Additionally, her experience as a licensed realtor and as a certified paralegal has proven particularly helpful in her legal practice. At Evans & Powell, PLLC, Catherine practices criminal law as well as related civil proceedings. She is eligible to practice before all Texas state courts. In her free time, she enjoys spending time with her family, being outdoors, and trying to keep up with her twin children.